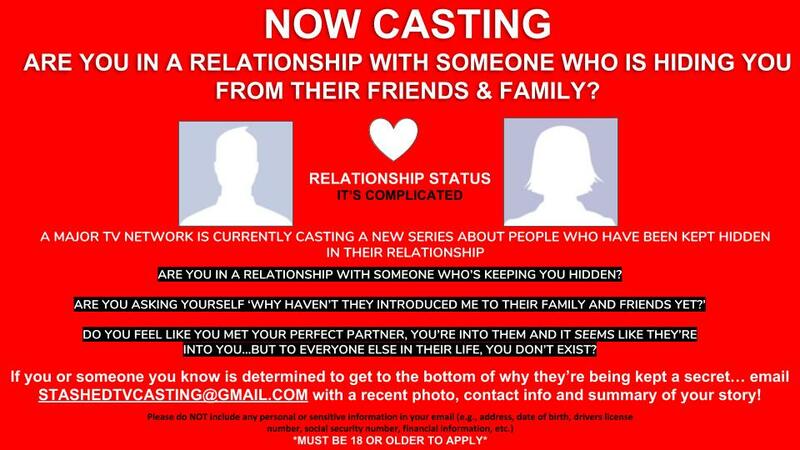 CASTING A NEW KIND OF RELATIONSHIP SERIES! HAVE YOU BEEN DATING SOMEONE EXCLUSIVELY FOR A WHILE BUT STILL HAVEN’T MET YOUR SIGNIFICANT OTHERS FRIENDS OR FAMILY YET!? IF YOU HAVE A STORY TO TELL OR KNOW SOMEONE WHO DOES, PLEASE EMAIL STASHEDTVCASTING@GMAIL.COM AND LET’S PLAY!